Since my last foreword for Skills@Work I have met with a range of stakeholders to hear more about the issues facing vocational education and the opportunities to raise the status of the sector. Some of the highlights from the last month include meeting with providers and industry, kicking goals with Kevin Sheedy, opening the WorldSkills competition in Melbourne, and speaking at the VELG National VET conference about apprenticeships and the relationship with industry. It’s always inspiring to meet people who are passionate about vocational education and training. I have heard much about the opportunities provided by quality training and have been encouraged by the commitment to strong outcomes from training from those who I meet. A common theme of discussions, with students, individual industry representatives, training providers, and those contributing through the VET Advisory Board, is the importance of ensuring VET is valued and has the status it deserves. VET is central to our nation’s prosperity. It is also at the heart of our plan to ensure people have real choice and are provided with the right pathways to gain appropriate skills for employment – whether that be to enter the jobs market or to adapt their skills to a changing world. The announcement by Minister for Education and Training Simon Birmingham on changes to VET FEE-HELP will take us a step closer to regaining confidence in the sector. The new VET Student Loans program will provide value for money to both students and taxpayers through tougher barriers to entry for providers, properly considered loan caps on courses and stronger course eligibility. The Government will now reign in the rorters with a program that is is sustainable and affordable. I look forward to more opportunities to work to promote the value of our system over the next month – and beyond. Future business and industry employment requirements have also been considered. This means that students who study a course supported by VET Student Loans know they are getting the skills they need for a job and a pathway to employment or to increasing employment opportunities. TAFEs, public providers and Australian universities (that are currently approved as VET FEE-HELP providers) will automatically transition to the new program while private providers will be required to meet a range of quality measures to be granted access. Students currently studying under the existing VET FEE-HELP scheme will receive support and advice around maintaining their VET FEE-HELP assistance until the end of 2017. A range of information on the new program and the transition from VET FEE-HELP is available from the VET Student Loans page of the Department’s website. For further information email VETStudentLoans@education.gov.au or call the HELP Student Enquiry Line on 1800 020 108. Funded by the Department of Education and Training, FSAT is an interactive online tool designed to identify and measure an individual’s foundation skill levels (English language, literacy and numeracy skills as well as employability skills). These skills are fundamental to participation in the workforce, the community and in adult education and training. FSAT will provide valuable information to trainers and educators such as Registered Training Organisation’s, enabling them to assess their client’s foundation skill levels, and identify skills and knowledge where additional development may be beneficial. This, in turn, will assist students and job seekers, by targeting the areas where individuals may require additional support. The department is currently working with the Australian Council for Educational Research (ACER) to finalise and validate FSAT. By participating in this phase of FSAT development, you will be helping to ensure that a final and free version of FSAT is available to the VET sector as quickly as possible. We invite you to use the tool and provide feedback. Further information regarding FSAT, including answers to ‘Frequently Asked Questions’, is available at: http://www.education.gov.au/foundation-skills-assessment-tool. Assistant Minister for Vocational Education and Skills, the Hon Karen Andrew MP addressed the tenth meeting of the Australian Industry and Skills Committee (AISC) in Melbourne on 22 August 2016. Minister Andrews noted that the key to quality in the VET sector is close involvement of industry at all stages. Only industries know the skills they need to ensure their businesses are productive and able to compete. The Minister noted the importance of industry taking the opportunities presented by the new arrangements for training package development. AISC Chair, Mr John Pollaers, noted the opportunity provided by the current review of the structure and membership of Industry Reference Committees. The review is now fully underway, providing opportunities for all industry stakeholders to be part of the committees that will determine the skills that VET graduates will have. IRCs need members that have up-to-date, relevant expertise and links across their industry. The Committee approved the new structure and membership of the Furniture IRC and the three forestry-related IRCs (Forestry Management and Harvesting, Timber and Wood Processing and Timber Building Solutions). These IRCs were part of the pilot review of IRCs. The Committee welcomed the strong field of nominees for membership of these committees. The new IRCs will take effect from mid-October once all nominees have been advised of the outcome. Details of the IRC review, and opportunities to participate, can be found at https://www.aisc.net.au/content/irc-review. Further details of the outcomes of the September meeting of the AISC can be found at http://www.aisc.net.au/communiques. Photo (left to right): Mr Brett Schimming, Ms Megan Lilly, Ms Michelle Melbourne, Mr John Pollaers, the Hon Karen Andrews MP, Mr Ian Hill, Mr Bill Galvin OAM, Mr Darren Mathewson and Mr Robert Bonner. Since January 2015, Vocational Education and Training students have had an easy to use and accessible central contact point through which to direct complaints about the training sector - that is, complaints relating to their training at the Certificate I to IV, and Diploma and Advanced Diploma levels. The key purpose of the National Training Complaints Hotline is to streamline and simplify the reporting of complaints for VET consumers. While the service does not directly investigate or address complaints, it connects people with the most appropriate organisation to resolve them. The Hotline supports student well-being and welfare by operating as a referral service which, since its inception, has dealt with over 1400 calls from students and other stakeholders. It has also become a valuable tool to map trends in the VET sector and to help students who may have training issues preventing them from achieving their best educational outcome. The Hotline is accessible on 13 38 73 (option 4), Monday to Friday from 8:00 am to 6:00 pm nationally or via email at NTCH@education.gov.au. The Hon John Barilaro MP, Minister for Skills, Minister for Regional Development and Minister for Small Business hosted the NSW Training Awards in Darling Harbour on Thursday 8 September. The gala event was attended by over 500 guests with representatives from a broad cross section of the VET sector, senior government officials and high ranking representatives of commerce and industry in NSW. The NSW Training Awards recognise outstanding achievement in the vocational education and training sector. They honour and reward the achievements of students, trainers/teachers, training organisations and large and medium employers from across the state. Minister Barilaro highlighted the importance of vocational education and training, saying "VET is a viable, competitive pathway to training for skills which are in demand for a NSW and Australian economy in transition. VET provides our school leavers with options for work skills and provides mature aged workers with opportunities to reskill or upskill. In fact, VET can be a pathway to lifelong learning and to a more prosperous life for you and your family." Training Services NSW welcomed a new Award this year, that of Excellence in Signage, sponsored by Visual Connections. This was in addition to a new Alliance partner in the National Rugby League. 2016 NSW winners, in aligned catagories, will head off to Darwin to represent NSW at the Australian Training Awards on 17 November. Training Services NSW wish all our award winners good luck and every success at the National title. You can meet the winners and read their stories on the Training Services NSW website. The 2016 South Australian Training Awards welcomed 600 people to celebrate the quality and achievements of students, employers, teachers, apprentices, trainees and training providers in the vocational education and training sector. The event, hosted by the Training and Skills Commission at the Adelaide Entertainment Centre on Friday 9 September, recognised and rewarded individuals and organisations for outstanding achievements in training. Individual winners receive $5000 towards career development and may have the opportunity to represent South Australia at the Australian Training Awards on 17 November in the Northern Territory. For more information about the awards, including the 2016 award winners, visit www.satrainingawards.sa.gov.au. Photo (left to right): Training and Skills Commission member, Ms Lindsay Palmer, Mr Ken Palmer and The Hon Susan Close MP, South Australian Minister for Higher Education and Skills. On 7 September, Minister for Skills John Barilaro, NSW Premier Mike Baird and Minister for Transport Andrew Constance launched the Infrastructure Skills Legacy Program. The Program will capitalise on the NSW Government’s record $73 billion infrastructure investment to boost the number of skilled construction workers and create fresh employment pathways for a more diverse trade workforce of tomorrow. Following industry consultation, the Infrastructure Skills Legacy Program has set in place ambitious and achievable training and employment targets for major NSW infrastructure projects, which will offer a lasting legacy of skilling and job opportunities. Two demonstration projects – Sydney Metro and Lismore Base Hospital Stage 3B redevelopment – have been selected for initial application of the ISLP targets. The unique characteristics of the two projects will allow for practical assessment and refinement of the targets before potentially applying them to future major infrastructure projects across NSW. Skills Impact is an independent, national Skills Service Organisation (SSO) for a diverse range of industries based on grown and renewable resources and their value chains. Skills Impact provides services to various Industry Reference Committees (IRCs), to develop the skills standards and qualifications for the industries they represent. The relevant IRCs are now seeking feedback on draft Business Cases to support the commencement of the following project. Thank you to everybody who provided feedback on the Discussion Paper for Equine, Safety in Training. The relevant IRCs have drawn on this feedback to develop a Business Case for submission to the Australian Industry and Skills Committee (AISC). The IRCs are seeking feedback on the draft Business Case up until Monday, 17 October 2016. This month’s Feature VET Alumni member is Markeeta Douglas! Markeeta Douglas’ interest in audiometry started at a young age, having suffered from ear infections for the majority of her childhood. In her late 20s, Markeeta enrolled in a Certificate IV in Audiometry by distance education and believes her training has opened up many opportunities for her to boost the health of local Aboriginal people. Markeeta is now employed as an audiometrist at the Awabakal Cooperative in Newcastle, an organisation that is leading the way in Aboriginal ear health in New South Wales and beyond. Markeeta won the Aboriginal and Torres Strait Islander Student of the Year at the 2013 Australian Training Awards. 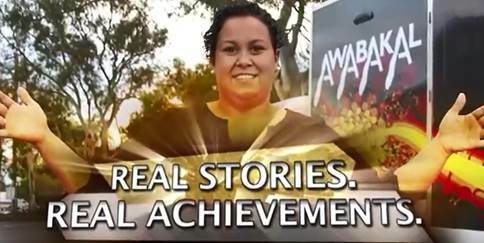 Watch Markeeta’s Real Stories Real Achievements video. This months’ feature Australian Apprenticeships Ambassador is a past competitor in the WorldSkills Australia National Competition. A childhood fascination with machinery naturally translated into a fitting and turning career for Philip Matthews-Frederick. Philip’s passion for the trade and ability to solve mechanical problems with a perfectly designed and manufactured solution ensured he was selected to compete at the 2013 WorldSkills International Competition in Leipzig, Germany. The 26-year-old competed alongside Rowan Diggins and fellow Australian Apprenticeships Ambassador Mathew McGlashan in the Manufacturing Team Challenge. 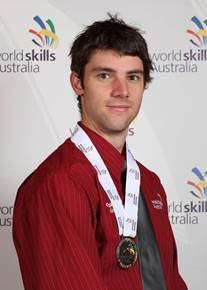 Philip’s selection to compete in Germany came after winning a silver medal at the 2012 WorldSkills Australia National Competition in the Turning category. Follow the competitors in this year’s WorldSkills Australia’s National Competition here. On World Teacher’s Day we recognise the 2015 VET Teacher/Trainer of the Year Stephen Lunn from Tasmania. Stephen Lunn has been the lead Vocational Education and Training Hospitality Teacher at Guildford Young College in Tasmania for six years. A well-known and widely respected chef with over 30 years’ experience in the hospitality industry, Stephen brings to his role a wealth of restaurant and catering experience across Australia and Europe. Stephen teaches Cooking Essentials and Food and Beverage Service across both the Hobart and Glenorchy campuses of Guilford Young College which provide him with a great diversity of not only student dynamics, but also the organisational challenges this presents. Understanding the VET Regulatory framework, and managing compliance can be challenging. Keeping up-to-date with changes in standards and funding contracts conditions represent the greatest risk for RTOs. The VET PD Network - a capable and professional Group that provides professional development workshops to RTOs and the VET sector. If you would like to provide feedback, supply an article for inclusion in the next edition or join our list of subscribers, please email skillsatwork@education.gov.au. The next edition will be published in November 2016. Submissions are due by Thursday, 27 October 2016.